So, if not "at this time", when and what kind of graphical advertiesments can we expect to find in Windows Live Mail? Today is the end of the road for pre-release versions of Windows Vista. Starting tomorrow, after 2-hour sessions, anyone operating a pre-release version of Windows Vista will find the PC automatically rebooting without providing the opportunity to save any data. The ability to log in normally for 2-hour sessions will only be available until August 28, 2007. Upgrade information is available at the Windows Vista Preview pages. See the Windows Vista Blog for additional information. Let's hope the FTC is paying attention because it appears that ValueClick is still serving up Winfixer! See Sandi Hardmeier's report in Valueclick and Winfixer continue to be a problem. See FTC Note: ValueClick turns to the Dark Side for instructions on submitting an FTC Consumer Complaint Form. "Mozilla Corp. will issue the last security update for its open-source Firefox 1.5 browser today. It will include an automatic update mechanism to give users the option of upgrading to Firefox 2.0. "The upgrade offer will be enabled within in a few weeks," said Mozilla in a blog on its developer center. The long-anticipated end to Firefox 1.5 support was originally slated for April 24, but last month, Mozilla pushed back the drop-dead date, saying it needed more time to craft the automatic updater. When Mozilla triggers what it has called "major updates," users will be offered an in-place upgrade to Firefox 2.0, which they can decline if they wish. Users can also permanently suppress the upgrade message so it never appears again. Today's Firefox 1.5.0.12 will be the final security patch for the 18-month-old browser. Also due for delivery is Firefox 2.0.0.4. Both, Mozilla said, are "standard stability and security updates." Firefox 2.0.0.4 will be posted here, while Firefox 1.5.0.12 will be available from this page of the Mozilla site. A list of the vulnerabilities patched by both updates will be posted sometime after 2.0.0.4 and 1.5.0.12 go live. In related news, the Alpha 5 preview of the next Firefox, Version 3.0, will be available for download Friday. Mozilla has pegged Firefox 3.0's final code release for sometime this year." 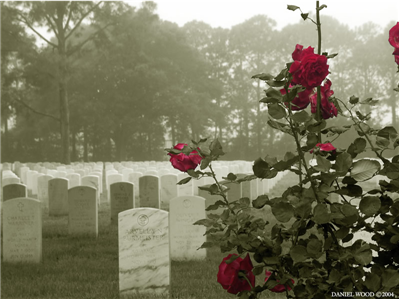 Today marks the observed day in the United States for remembering those who have died serving their country. On this Memorial Day, I extend my prayers for the day when we no longer have new names to mourn. The image above is a resized version of an original image by Daniel Wood ©2004. See his complete photo essay entitled "Fallen Heroes". As parents (grandparents, aunts, uncles, older siblings), we have reason to be concerned about child safety on the internet. It is no longer merely a concern about the child installing a software that includes a trojan, browser hijack or other malware. An even greater concern is for their privacy and personal safety. Blake Handler has written several guides for parents, the most recent of which is Parent's Guide to Microsoft’s Windows Vista where he has provided step-by-step guidelines to assist parents in setting up computer access rights based upon the child's age and maturity. Although the Vista Security Features bookmark page was updated to include Blake's article, below is a link to other articles I have written on child safety as well as articles either written or referenced by Blake at The Road to Know Where. Above all, please keep an open dialog with your children regarding Internet safety. Don't make the controls too restrictive, but don't give them free reign either. Added a link to the "Internet Safety" tag from Computer Science Teacher - Thoughts and Information from Alfred Thompson. I encourage educators to subscribe to Alfred's blog. Updated Vista Security Features to include a link to "Use Windows Vista to help enforce limits on your children's computer use" from Microsoft's Security Tips & Talk. ValueClick Reform or Afraid of the FTC? A big "thank you" to anyone who submitted an FTC Consumer Complaint Form in response to the post I wrote a couple weeks ago referring to the studies illustrating ValueClick was serving up WinFixer. Whether it was from that effort, fear of the FTC investigation, the analysis by fellow MVP, "winhelp2002", or a combination thereof, it appears to have been successful. There has been no official notice yet but it looks like ValueClick has severed it's ties with the WinFixer Group. I have checked quite a few of the links that I had previously mentioned    and they now no longer redirect to "adfarm.mediaplex.com". Time is running out! All Pre-Release versions of Windows Vista are set to expire on May 31, 2007. This includes the Beta 2, RC1, and RC2 versions that were part of the Customer Preview Program (CPP). What happens if you don't upgrade the pre-release version? 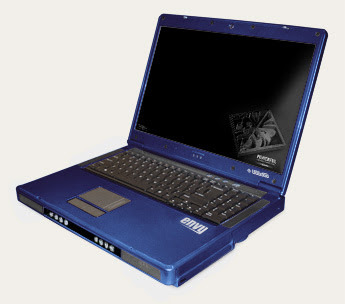 After May 31, 2007, after 2-hour sessions, the PC will automatically reboot without providing the opportunity to save data. Even the ability to log in normally for 2-hour sessions will only be available for a limited time. As reported by Sunbelt researchers, this thing is designed to steal data and results from Virus Total yield very thin coverage. You've been warned! Microsoft issued two new Security Advisories for non-security updates, reproduced below. Your system may appear to become unresponsive when Windows Update or Microsoft Update is scanning for updates that use Windows installer, and you may notice that the CPU usage for the svchost process is showing 100%. Your system may appear to become unresponsive when Windows Update or Microsoft Update is scanning for updates that use Windows Installer. You receive an access violation error in svchost.exe. This access violation stops the Server service and the Workstation service. A memory leak occurs when Windows Update or Microsoft Update is scanning for updates that use Windows Installer. Windows Update or Microsoft Update scans take a very long time, sometimes hours, to complete. We encourage Windows customers to review and install this update. This update will be offered automatically through Automatic Updates. For more information about this issue, including download links for the available non-security update, please review Microsoft Knowledge Base Article 927891 (http://support.microsoft.com/kb/927891). Please note that this update is the first part of a two-part fix that is the comprehensive solution to the problem. In June, another update will involve the Windows Update client. The update for the Windows Update client will also be automatically offered through Automatic Updates. Yesterday, 21 May 2007, Microsoft announced the availability of the Microsoft Office Isolated Conversion Environment (MOICE) feature and more widely notified customers of the File Block functionality for Microsoft Office 2003 and the 2007 Microsoft Office system. Both features are designed to make it easier for customers to protect themselves from Office files that may contain malicious software, such as unsolicited Office files received from unknown or known sources. MOICE makes it easier by providing new security mitigation technologies designed to convert specific Microsoft Office files types, while File Block provides a mechanism that can control and block the opening of specific Microsoft Office file types. The Microsoft Office Isolated Conversion Environment (MOICE) uses the 2007 Microsoft Office system converters to convert Office 2003 binary documents to the newer Office open XML format. The Conversion process helps protect customers by converting the Office 2003 binary file format to the Office open XML format in an isolated environment. In summary, MOICE provides a mechanism for customers to pre-process potentially unsafe Office 2003 binary documents, by virtue of the conversions process it provides customers with a greater degree of certainty that the document can be considered safe. We encourage Microsoft Office customers to review the related Knowledge base article and consider whether MOICE can help protect users in your IT environment. For more information about this release, see Microsoft Knowledge Base Article 935865. The File Block Functionality for Microsoft Office 2003 and the 2007 Microsoft Office system allows administrators to restrict via registry and Group Policy specific Office file types that can or cannot be opened when using Microsoft Word, PowerPoint, and Excel. Blocking specific Office file types allows administrators to temporarily deny users the ability to open certain files, such as when a threat of attack from a given Office file type exists. We encourage Microsoft Office customers to review the related Knowledge base article and consider whether File Block can help protect users in your IT environment. For more information about this release, see Microsoft Knowledge Base Article 922849, Microsoft Knowledge Base Article 922848 and Microsoft Knowledge Base Article 922847. When MOICE and File Block are used together they are an effective mitigation strategy for customers when the threat of attack using certain Office types exists. This enables customers to continue using Microsoft Office with a high degree of assurance that the files being opened are considered safe and will not infect users with malicious software. Google has introduced a new blog in their repertoire, Google Online Security Blog, supported by their Anti-Malware Team. First and foremost, enable automatic updates for your operating system as well your browsers, browser plugins and other applications you are using. Automatic updates ensure that your computer receives the latest security patches as they are published. We also recommend that you run an anti-virus engine that checks network traffic and files on your computer for known malware and abnormal behavior. If you want to be really sure that your system does not become permanently compromised, you might even want to run your browser in a virtual machine, which you can revert to a clean snapshot after every browsing session. Webmasters can learn more about cleaning, and most importantly, keeping their sites secure at StopBadware.org's Tips for Cleaning and Securing a Website." There is no doubt when reviewing the analytics of my blogs that Google search is without a doubt the most widely used. As a result, the more security aware Google staff, the better for us. One helpful feature is the identification of sites that may install malicious software on your computer through the use of the annotation, "This site may harm your computer. ", followed by a large warning if the link is clicked. I have added the site to my list of RSS feeds and will certainly pass along interesting tidbits. Although WinPatrol is free for non-commercial use, there are additional features and benefits to the Plus version. The table below from the WinPatrol comparison page clearly illustrates the many functions available in WinPatrol. Unlike other real-time protection software, there isn't an annual fee to renew your WinPatrol license. So, in honor of this great acknowledgment of an outstanding software program, consider WinPatrol Plus. Via Brian Krebs, I see that Secunia has issued a report on the Software Inspector they introduced six months ago. The object of the Software Inspector is to scan the computer not only for Microsoft updates, but also to find out what other software is out of date. Read Brian's post for his thoughts about the browser comparisons. I am not as concerned with the browsers, since those numbers are not too bad. There is more awareness of browser security than other applications. Firefox has a built in update feature. Even people who don't have Microsoft updates automatically installed on their computer are likely to be aware of "Patch Tuesday". This explains why Secunia reports that the patch level for Microsoft products are relatively high. "But looking at media players such as Quicktime and WinAMP, then the figures are more worrying, as 26.96% of all WinAMP 5 installations miss important security updates and 33,14% of all Quicktime 7 installations are outdated." "This constitutes a significant problem because many of those applications, like WinAMP and Quicktime, are readily used whenever users encounter media files of various kinds. Most people wouldn't hesitate to open an .mpg, .jpg, .mov, or .mp3 file from any source if it seems the least bit interesting and relevant. It's easy to embed a movie in your homepage, for example, and all it takes is one unpatched Quicktime vulnerability and a provocative video title to compromise a lot of visitors." Consider the effect of 33.14% of Quicktime 7 outdated in conjunction with the report by Joris Evers, Cybercrooks add QuickTime, WinZip flaws to arsenal providing a warning by Symantec that security holes in QuickTime and WinZip are being exploited by sites appearing to be trusted financial institutions. Instead, they are using the vulnerabilities to attempt to silently install keystroke-logging software. "Symantec discovered the attacks when one of the PCs that it uses as bait was breached earlier this week. "This compromise was especially interesting, because the site made use of a QuickTime vulnerability discovered in January 2007 and a WinZip vulnerability discovered in November 2006," Symantec said. "Before our analysis, it was not known that these issues were being exploited in the wild." QuickTime is Apple's widely used media player software, WinZip is a popular tool for compressing and decompressing files." What can you do to avoid such exploits? First, of course, make sure you use the phishing filter in your browser. Visit Microsoft Updates to ensure you have all the latest security updates. Then, head on over to Secunia to check for other out of date software on your computer. There is a link is on the left side-bar. Go ahead, check it out. As Sandi suggests, let's spread the word about ValueClick's dirty connections. Why? Because beyond the FTC investigating ValueClick because of potential violations of the Can-Spam Act, it seems that ValueClick seems to be facilitating more than the distribution of malware like Winfixer. See ValueClick involved with Trojan.Zlob.N and ValueClick turns to the Dark Side. If you have been infected as a result of ValueClick/MediaPlex as described in the above topics, submit an FTC Consumer Complaint Form. With sufficient consumer input from people affected, the FTC may just do as Sandi suggested and take a closer look at the company. While the FTC does not resolve individual consumer problems, your complaint helps us investigate fraud, and can lead to law enforcement action. The FTC enters Internet, telemarketing, identity theft and other fraud-related complaints into Consumer Sentinel®, a secure, online database available to hundreds of civil and criminal law enforcement agencies worldwide. We use secure socket layer (SSL) encryption to protect the transmission of the information you submit to us when you use our secure online forms. The information you provide to us is stored securely." ". . .one of the reasons certification from West Coast Labs and the ICSA is considered significant is that their testing methodologies reflect malware threats “out in the wild.” Testing in this manner provides an accurate indication of how security products perform against real world threats." Windows OneCare is Windows Vista compatible on 32-Bit systems. The Julie Amero sentencing has been rescheduled several times now. This time, however, it has been both rescheduled and relocated. Rather than this Friday in Norwich Superior Court, sentencing is now set for June 6 in New London Superior Court. I cannot help but feel that a change in venue is a positive thing. information about security enhancements in Windows Vista and how Microsoft used the Security Development Lifecycle to increase the security of the Windows operating system. Too much to handle right now? No problem. The references have been bookmarked for you to find later in Vista Security Features under "Security-Related Topics". IE7 Problems After May Security Update? It was reported at the IEBlog that some people have experienced an unexpected “Save File” security dialog when they launch Internet Explorer. It appears that this happens if you have moved the “Temporary Internet Files” folder to a custom location and IE does not have appropriate access rights to the new folder location. While the IE Team works to resolve the issue, use the workaround in Microsoft KB Article 937409, The "File Download – Security Warning" dialog box opens when you try to open Internet Explorer 7. The "WOW" Finally Arrived At My Door! "Like me, most of my Blogger friends took it easy this long weekend. I know I had more than my share of turkey and cranberry sauce. There was one exception. I can only guess they opened up a new Starbucks across the street from Corinne at the Security Garden. She’s been writing like crazy and has lots of news to share." There was a purpose behind the madness. Some day I may explain but can assure you there is no Starbucks across the street from me. I can finally explain. 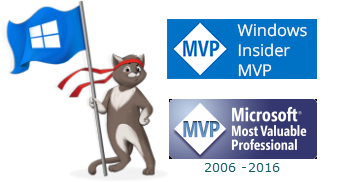 Last fall, I competed with other Microsoft MVP's in a BlogRocker contest. The post linked above was made the day after the contest ended. Being a new blogger, the contest seemed like a nice way to break the ice. As it turned out, in addition to blogging, various points were applied for other activities, including forum help, which I was very busy with at the time and, as a result, accrued a lot of points. Since this was the first BlogRocker contest, there was a lot of confusion. In fact, except for the "grand prize winner", positions shifted toward the end of the contest. However, when the final tally was announced, I had come in second place, winning "first prize". For my personal computers, I've only had AMD and this is an Athlon 64 bit dual core processor with 2GB Crucial DDR RAM. I think the 100 GB 7200 RPM SATA Voodoo drive will suit me quite nicely, as will the 512 MB nVidia GF 7950 video card and 17" LCD monitor. So, except those days when I have time before work, during lunch, etc., I expect blogging and other online activities will be taking second place as I spend much of my "play time" poking around this incredible new machine. It has been quite a few years since I have had a new computer to set up. One nice thing I have already discovered, there are no "trials" and extra goodies that I need to remove. First priority is getting Eset NOD32 antivirus software, WinPatrol Plus and Office 2007 installed. The Windows Vista firewall is already activated. After I get my connection set up on that machine, there will be quite a few security updates to install and firewall rules to deal with. Rather than blindly transferring everything from the old machine, I plan on being selective. Its a good opportunity to do a bit of records management. *There seems to have been some changes in the Notebook availability as I no longer see the 709 in the options at VoodooPC. I guess things changed since my order was placed 4 months ago. Forever and ever and ever. . . When my son was young, he would frequently tell me that he was going to stay with me "forever and ever and ever." I would suggest that when he grew up, he would want to have his own home. He would always reply in the negative, repeating that he was going to stay with me "forever and ever and ever." Several years ago my son purchased his own home. My daughter's employer relocated her family to a location 1,000 miles away. So, on this Mother's Day, I reflect on the many images of my children growing up -- their first steps, my daughter's first sentence -- half English, half Ukrainian, my son as a toddler enchanted with hats, their many school activities, awards and achievements, all leading to the time when they would be adults, making their own path in life. Needless to say, I am very proud of them. Even though my children are grown and have their own lives to follow, with very divergent paths, I now know my son was right. Beyond the remembrances and cards from both of them for Mother's Day, the magic words, "I love you, Mom" assures me that both of my children will remain with me forever -- forever in my heart. I am proud to congratulate the staff of Zebulon.fr for being accepted in ASAP. To recommend in an equal and fair manner products available to keep your computer clean and safe, regardless of pricing. To ensure that end users are not affected by so called "product wars" and unfair marketing tactics, which have plagued several industries in recent years. Zebulon.fr is indeed deserving of this recognition. Congratulations! I started writing this the other day when Nick White posted the first segment in the Windows Vista Team Blog highlighting advanced searching in Windows Vista. Knowing he was going to add another part to the piece, I held off publishing. Now that Part II has been posted, below is a brief synopsis of Putting advanced searches to work for you and Searching, part II: Using Search Folders along with additional links collected. All links have been bookmarked in Features and Tutorials. In the new Explorers, the menus, toolbars, Navigation Pane, Task Pane, and Preview Pane have all merged into a single intuitive interface that's consistent across all of Windows Vista. Instant Search works from the Start menu, Explorers, Control Panel, and experiences, Windows Internet Explorer 7, Windows Photo Gallery, and even Windows Media Player. An exhaustive list of search operators. On Windows Vista you can use these operators to define a search, and then save it as a Search Folder (saved search). Examples of using Search Folders. Be sure to read the additional information in the comments. Includes tables that describe the syntax to use with Windows Desktop Search 3.01 and 3.0, as well as the properties that can be queried for each category of file displayed in the desktop search results window. Just as I initially learned about the trojan posing as windows product activation last Friday from fellow MVP, Donna, when I was reading the post made yesterday at the Windows Genuine Advantage blog, I saw that Donna had located Removal Instructions for Trojan.Kardphisher at Symantec's blog. Way to go, Donna! You have again reaffirmed why a few months ago I wrote: It is no wonder that Donna deserves to be in the spotlight. Spybot Search & Destroy Bows To No One!! "They also asked us to no longer detect their software even if installed without user consent by this trojan horse, to post a public apology in this place after removing any other reference to their name, delete any correspondence from and to Spybot-S&D users who had been this trojan, stop helping further Spybot-S&D users that get infected with this trojan." Nick White announced at the Windows Vista Team Blog that the final compatibility update is available for Windows Vista users of the Apple iPod. The update is available at the Microsoft Download Center now and will be available via Windows Update on Tuesday 22 May 2007. "The release is for users worldwide and works with the latest version of Apple iTunes to correct an issue that caused some iPods to become corrupted when ejecting them using Windows Explorer or the "Safely Remove Hardware" function in the System Tray. The long and short of it is this: Apple and Windows have partnered together to ensure a great experience in using Windows Vista with iTunes and the iPod, and both companies recommend you download this update." In the Microsoft Security Bulletin Summary, the information below is provided on the updates for May, 2007. The MSRC Blog post on these critical updates has now been published. With the critical updates, I didn't want to hold off this post for that release. The IEBlog published the reminder that IE security updates are cumulative and contain all previously released updates for each version of Internet Explorer. Should you have difficulty with the updates, no-charge support is available at 1-866-PCSAFETY (1-866-727-2338). This number is available 24 hours a day for the U.S. and Canada for virus and other security-related support. For numbers outside the U.S. and Canada, please select your region and follow the instructions there. Consumers can visit Security At Home, where this information is also available by clicking “Latest Security Updates”. MS07-023 Vulnerabilities in Microsoft Excel Could Allow Remote Code Execution (934233), Affected Software: Office. MS07-024 Vulnerabilities in Microsoft Word Could Allow Remote Code Execution (934232), Affected Software: Office. MS07-025 Vulnerability in Microsoft Office Could Allow Remote Code Execution (934873), Affected Software: Office. MS07-026 Vulnerabilities in Microsoft Exchange Could Allow Remote Code Execution (931832), Affected Software: Exchange. MS07-028 Vulnerability in CAPICOM Could Allow Remote Code Execution (931906), Affected Software: CAPICOM, BizTalk. Reminder: The MS07-029 security update will NOT undo any of the workarounds that may have been applied and will need to be undone. I delayed adding the three-part "Windows Calendar" tutorial preapred by Vista4Beginners because I had not decided on the bookmark category to place the links. Now that I have created the new Windows Mail page, it occurred to me that calendar would be a nice accompanyment. As a result, the new bookmark page has been renamed "Windows Mail and Calendar" where you can find The complete guide to the Windows Calendar by Vista4Beginners bookmarked. I also added several other Vista Windows Calendar bookmarks that you may find useful. Today, Vista4Beginners added another helpful tutorial, "Manager User Accounts". The tutorial illustrates how simple it is to create a new user account, change the account type, password, and more. This tutorial, along with several others on UAC and other security features of Windows Vista, can be found bookmarked at Vista Security Features. Yes, Microsoft said "you've got mail". The question is what mail? After some confusing renaming, it appears the evolution is complete from MSN Hotmail --> Windows Live Mail --> Windows Live Hotmail. Read about all of the new Windows Live Hotmail features in the announcement, Microsoft Launches Windows Live Hotmail Worldwide. A bit more confusing is the announcement of the name change for Windows Live Mail Desktop to Windows Live Mail. From what I have ascertained, Windows Live Mail will eventually incorporate the features from OE, Windows Mail and Windows Live Mail desktop. "Welcome to customers of Windows Live Mail (desktop), and welcome to customers who are considering a migration from Outlook Express 6 and/or Windows Mail (Vista). Your client support team has built this site so we can keep you aware of late-breaking announcements, ask for your assistance when we're troubleshooting emerging issues, and finally request feedback on various issues involving the client." Help and support for Windows Live Mail is available by submitting a Support Incident. See the Windows Live Mail blog for general update information. Confused? It will all fall in to place eventually. In the meantime, be sure you have updated Mozilla Thunderbird to 2.0. To help you keep track of these pages plus the Beta mail programs, a new Windows Mail page has been added to Windows Vista Bookmarks. Do you travel for business or have a family holiday approaching? Do you plan on taking your laptop with you to complete a project? Will you be logging in on a public computer to check your personal email? Will you need access to your company's network? "It is easy to be complacent when traveling. And, unfortunately, there are plenty of people out there willing to take advantage of this fact. By taking a few extra moments to think about what needs to be protected, take inventory of your technology rich possessions, and take the extra time to protect your data, you will ensure a more worry-free travel experience." See the complete article, chock full of suggestions to protect both personal and business data, at Gonzo's Garage - Computers and One-Liners: Security Tips To Keep You Safe While Traveling. I learned from fellow MVP, Donna Buenaventura, that Symantec has identified as Trojan.Kardphisher. The Trojan is installed when the PC is restarted. A window appears that has been designed to look like the Windows Genuine Advantage (WGA) Activation Form. There are two options presented on the form -- activate now or later. According to Symantec, it isn't possible to run Task Manager or any other applications. Choosing no results in immediate shutdown of the computer. Selecting yes presents an activation window, but not quite what is provided by Microsoft. The trojan window requests credit card information. Microsoft does NOT request credit card information for WGA Activation. Do not be tricked into providing credit card information. Instead, update your antivirus software and run a full system scan. If you need assistance, visit one of the ASAP Member Sites. On Tuesday, 8 May 2007, Microsoft is planning to release updates affecting Microsoft Windows, Office, Exchange, CAPICOM and BizTalk. Two Microsoft Security Bulletins affecting Microsoft Windows. The highest Maximum Severity rating for these is Critical. These updates will require a restart. These updates will be detectable using the Microsoft Baseline Security Analyzer. Three Microsoft Security Bulletins affecting Microsoft Office. The highest Maximum Severity rating for these is Critical. These updates may require a restart. These updates will be detectable using the Microsoft Baseline Security Analyzer. One Microsoft Security Bulletin affecting Microsoft Exchange. The highest Maximum Severity rating for these is Critical. These updates will not require a restart. These updates will be detectable using the Microsoft Baseline Security Analyzer. One Microsoft Security Bulletin affecting CAPICOM and BizTalk. The highest Maximum Severity rating for these is Critical. These updates will not require a restart. These updates will be detectable using the Microsoft Baseline Security Analyzer and the Enterprise Scan Tool. Microsoft will release an updated version of the Microsoft Windows Malicious Software Removal Tool on Windows Update, Microsoft Update, Windows Server Update Services and the Download Center. Microsoft will release 1 NON-SECURITY High-Priority Update for Windows on Windows Update (WU) and Software Update Services (SUS). Microsoft will release 6 NON-SECURITY High-Priority Updates on Microsoft Update (MU) and Windows Server Update Services (WSUS). For Sandi, it was a bit of procrastination. Me, well, I just needed a break. Just don't tell Susan Bradley! Since I started this blog last year, I have posted a fair number of articles connected to child safety on the internet and have provided information on parental controls, child safety, the dangers of MySpace, and more. I backtracked and labeled some of those postings with the safety tag. The Rochester Institute of Technology, known locally as RIT, has started a new endeavor that, if nothing else, will result in better educating the parents, teachers and students in the local area on internet safety, cyberethics and information security. The program is beginning with surveys, grade-targeted for the children, as well as surveys for both parents and teachers. The data from the surveys will certainly go a long way in determining a path forward -- which I certainly hope evolves similarly to the D.A.R.E. program. Providing appropriate education is the key for success. InfraGard Member Alliance (IMA of Rochester), a program of the Federal Bureau of Investigation (FBI). The mission of the Initiative is to improve cyber safety, security and ethics at the K-12 level, as well as for teachers, parents, employers and other members of the community." A close friend, who knows I use Trillian for the convenience of an all-in-one chat program, alerted me to the IDefense Labs PUBLIC ADVISORY 04.30.07, copied below. Thanks, ETR! If you use Trillian but would rather not read all the technical jargon below, make sure that you update to the latest version! Cerulean Studios posted an update to their blog today and included the direct download link for Trillian Version 3.1.5.1, advising users to update as soon as possible. Please use the Cerulean Studios link, provided below, rather than an obscure site that may not be trustworthy. I originally posted a link to Download.com but removed it after receiving two corrupt download copies from that link. Even though it references the latest version, as of this evening, BetaNews was still pulling 3.1 from Cerulean.cachenetworks.com so I changed the download link to 3.1.5.1 and got the latest version. A change from the 3.1 download file is the addition of the optional install of a weather add-on and the Ask.com toolbar. I made sure to uncheck both. I dislike toolbars and will select my own weather media. Remote exploitation of multiple vulnerabilities in the Internet Relay Chat (IRC) module of Cerulean Studios' Trillian could allow for the interception of private conversations or execution of code as the currently logged on user. When handling long CTCP PING messages containing UTF-8 characters, it is possible to cause the Trillian IRC client to return a malformed response to the server. This malformed response is truncated and is missing the terminating newline character. This could allow the next line sent to the server to be improperly sent to an attacker. When a user highlights a URL in an IRC message window Trillian copies the data to an internal buffer. If the URL contains a long string of UTF-8 characters, it is possible to overflow a heap based buffer corrupting memory in a way that could allow for code execution. A heap overflow can be triggered remotely when the Trillian IRC module receives a message that contains a font face HTML tag with the face attribute set to a long UTF-8 string. Exploitation of this vulnerability allows remote attackers to intercept private communications for Trillian IRC users or execute code with the credentials of the currently logged on user. In order to exploit the highlighted URL vulnerability, users would have to highlight the malicious URL. iDefense has confirmed the existence of this vulnerability in Cerulean Studios Trillian 3.1.
iDefense is currently unaware of any effective workaround for this issue. Cerulean Studios has addressed these vulnerabilities within version 3.1.5.0 of Trillian. For more information, visit their blog at the following URL.